In my career as a graphic designer the most indecisive, difficult to please, hardest to work with client is myself. I find it hard to make a final decision and pull the trigger. After all I can’t charge myself overages, or get mad when I miss my made up deadlines. I have the ability to change my mind dozens of times before making that final decision. So now that I’ve started to plan my wedding, I feel overwhelmed with design decisions. Should we have a nautical feel, or something more woodsy. Do we want light colors, or something more bold. I’ve been creating wedding inspiration boards for the past 7 months over at love and lobster, so you think I would know exactly what I want. I’ve been pouring over my files folders for the last month— looking at swatches, dresses and decor, unable to pull the trigger on how I want that special day to feel. Until last night. I figured it all out. It’s not about a theme its about the color, it about making everything around us as happy as we feel. Bright colors with a rustic undertone. This is what we want our day to exude, happiness. Click the photo to view larger if you want to see all the details! 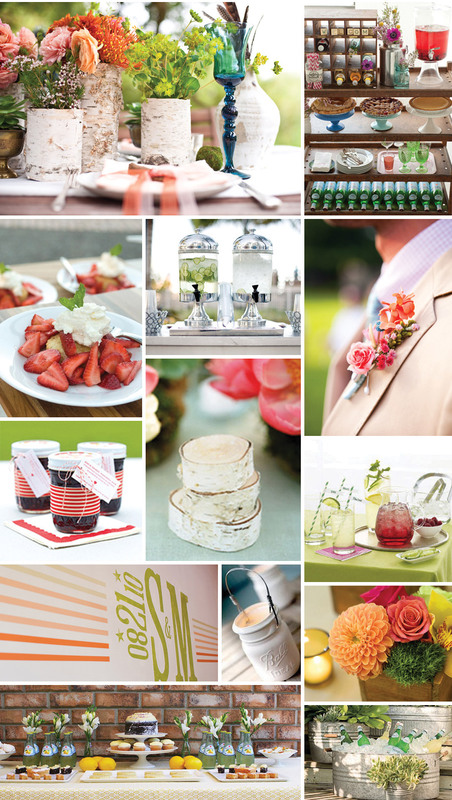 4 Responses to "RASPBERRY & LIME our wedding inspiration"
Really awesome, Nice and perfect theme. The colors are bright and happy! It looks like your hard work is paying off and will be remembered for many years through your photos. thanks for showing my work!